How do I download multiple invoices at the same time? Download multiple invoices at the same time. 1) Navigate to the invoice list page by clicking here. 2) Select the invoices you want to download by clicking on the check-boxes on the left. 3) Click the blue gear icon and hit "Download". 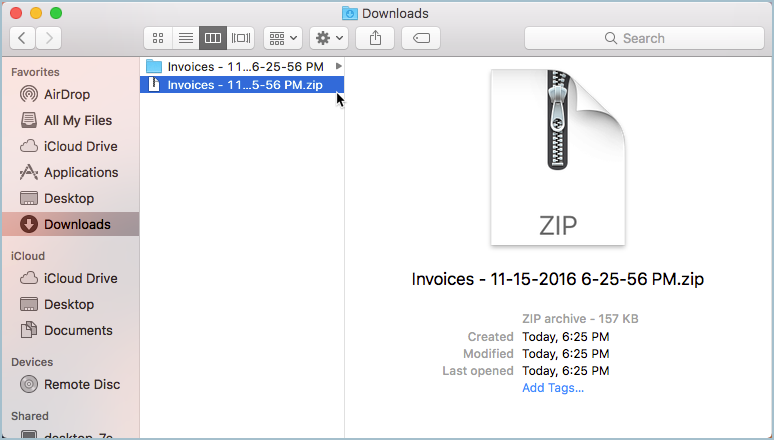 4) A .zip file will download shortly, containing your invoices. If you go to your computers respective Downloads file, you'll see the invoices downloaded as a zip file, which you can open to review the invoices.